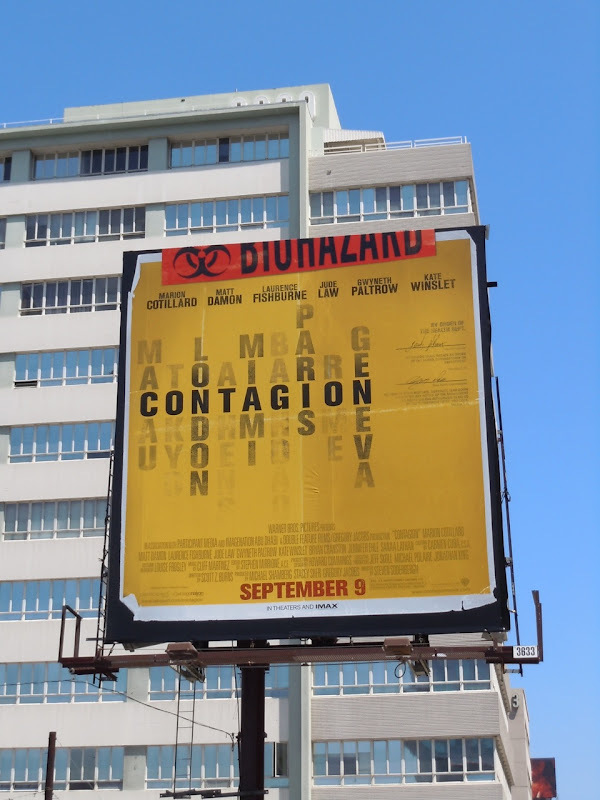 Scary words for the movie Contagion, and it feels like this will be one of those apocalyptic scenarios you wish you'd never seen, but will be totally engrossed while you watch it. 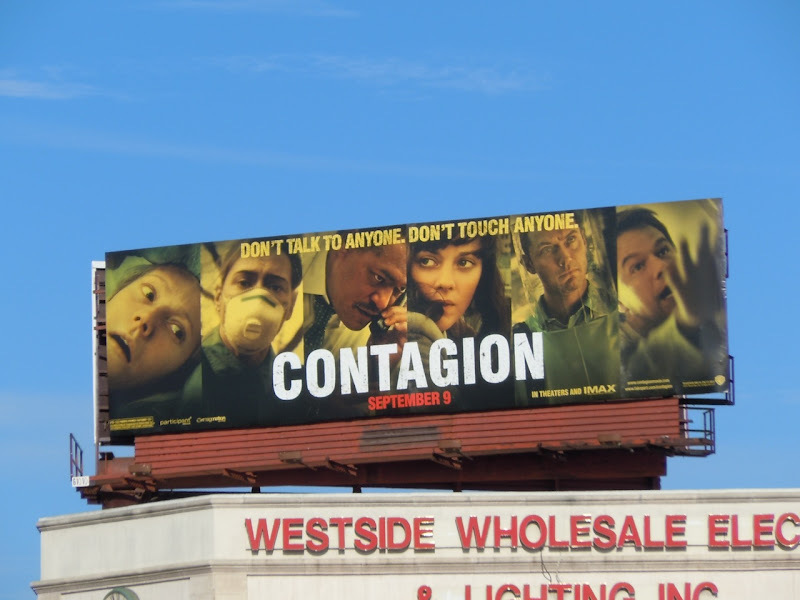 Not only is this an intriguing possible vision of the future, but these are two pretty captivating billboards for the movie too. 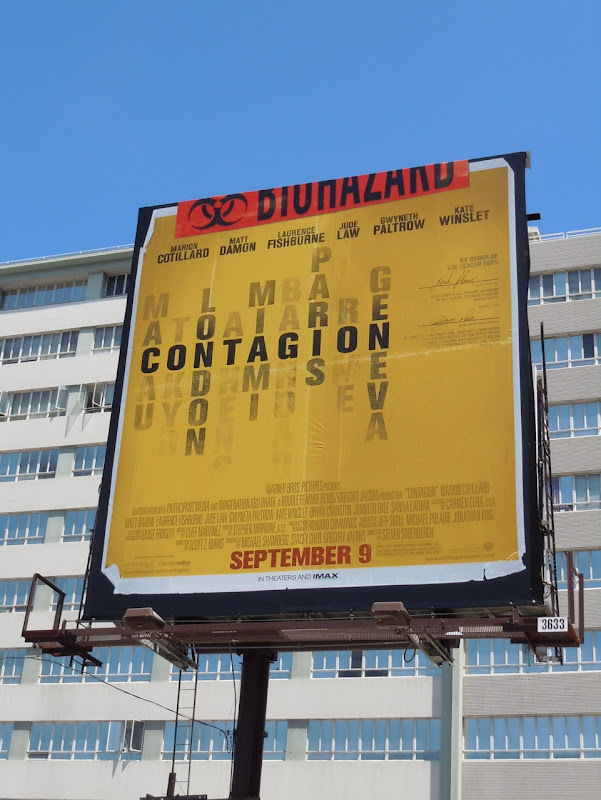 The text only 'biohazard' version is a clever way to illustrate the spread of the disease, with major cities around the world helping to spell out the title of the movie. 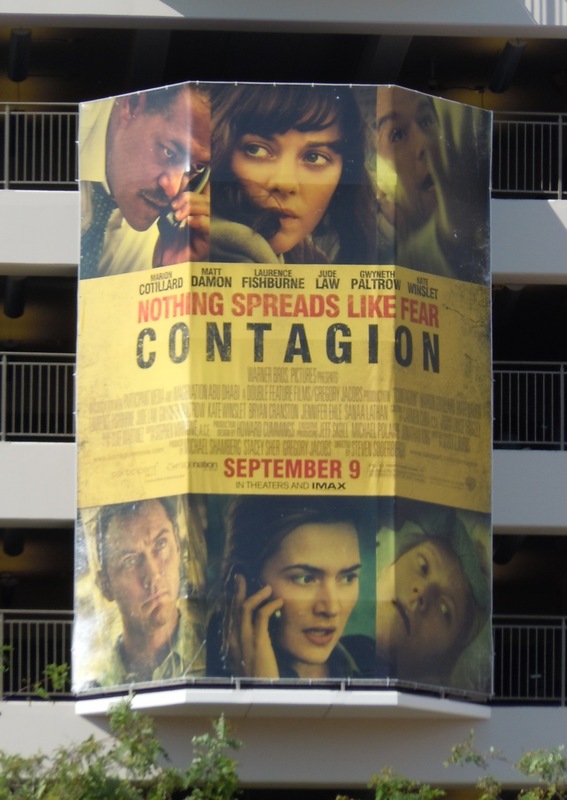 And if the premise of this thriller isn't enough to entice you, then the montage of famous faces that includes Gwyneth Paltrow, Kate Winslet, Laurence Fishburne, Marion Cotillard, Jude Law and Matt Damon should tempt you. 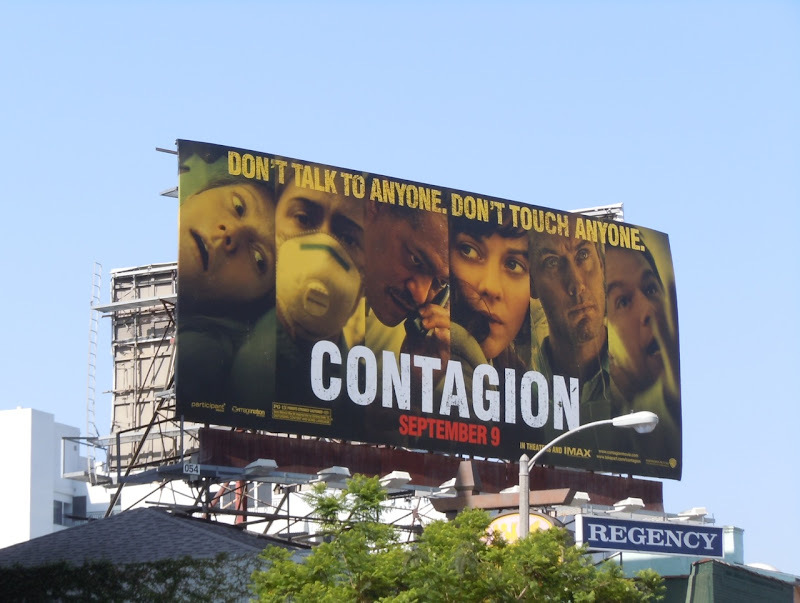 The text only creative was snapped along Wilshire Boulevard at La Jolla Avenue, whilst the cast composite billboard was photographed along Sunset Boulevard at Holloway Drive and Beverly Boulevard on August 16, 2011. 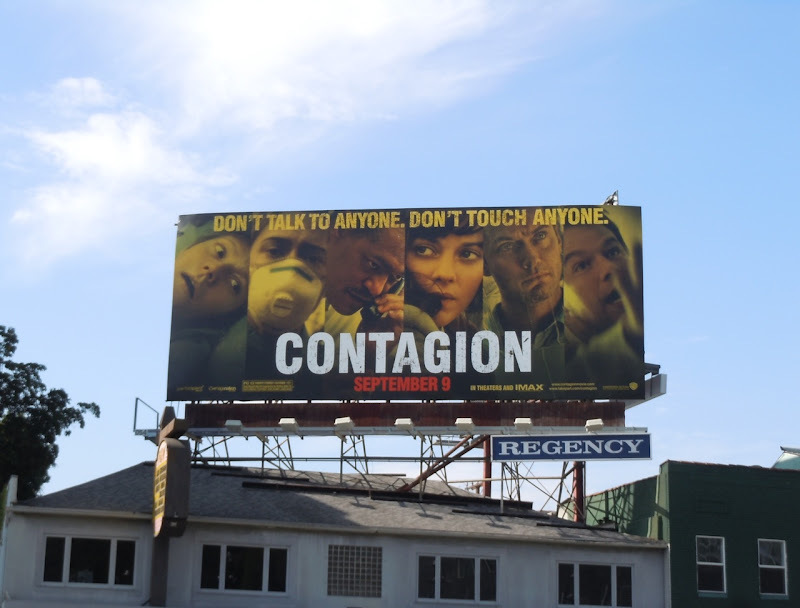 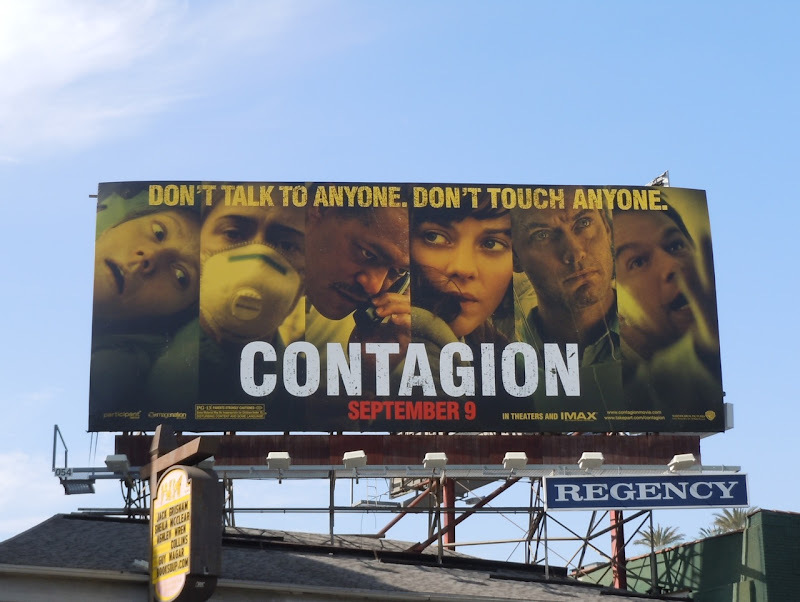 UPDATED: This slightly amended billboard creative for Contagion was snapped at The Grove shopping center on September 5, 2011.